Conax specializes in high quality wire sealing in demanding applications such as Highly Accelerated Stress Testing (HAST) typical in the semiconductor industry. Cyclical temperature testing is hard on seals, wire insulation and on the wire itself from a corrosion standpoint. Each Conax feedthrough is pressure certified upon initial design to insure a leak proof seal. 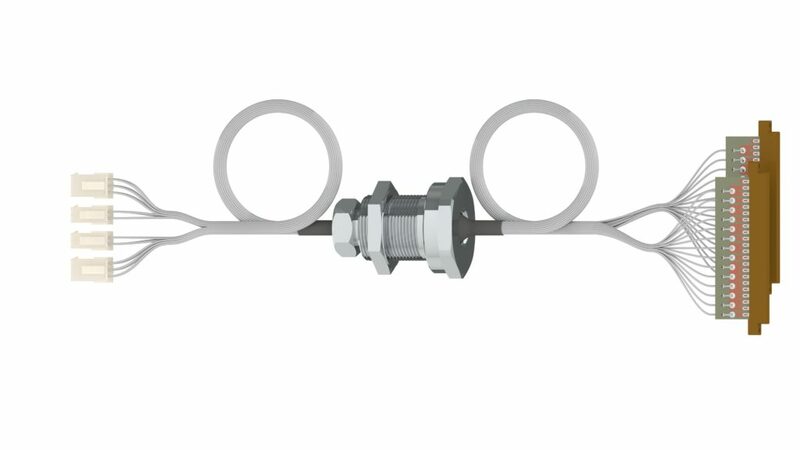 The feedthroughs may be supplied with straight threads (bulk head fitting style as shown below) or with NPT threads or flanged connection. This style feedthrough features nickel plated copper wire to minimize corrosion of the wires. It also uses PTFE insulation on the wires which stands up to steam and flexing better than Kapton® insulated wires. The feedthrough is rebuildable. After aging, the wires and sealant may be replaced, allowing the metal components of the feedthrough to be reused. Conax compression seal feedthrough are pressure qualified to insure a leak proof seal. They can be supplied with straight threads (bulk head fitting style as shown), with NPT threads or flanged connection. Kapton® is registered trademark of E.I DuPont de Nemours Company. This feedthrough is shown with optional connectors installed by Conax. 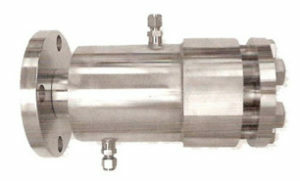 The feedthrough normally comes with bare leads that the end user terminates as needed. This style feedthrough features 24 AWG, PTFE insulated wires. The wires may be supplied in J, T, K, or E thermocouple calibrations to allow for temperature validation in the X, Y, Z coordinates of the chamber. Within a given Conax High Density Feedthrough tube, the wires may be mixed or matched between nickel plated copper signal wires and thermocouple wires. 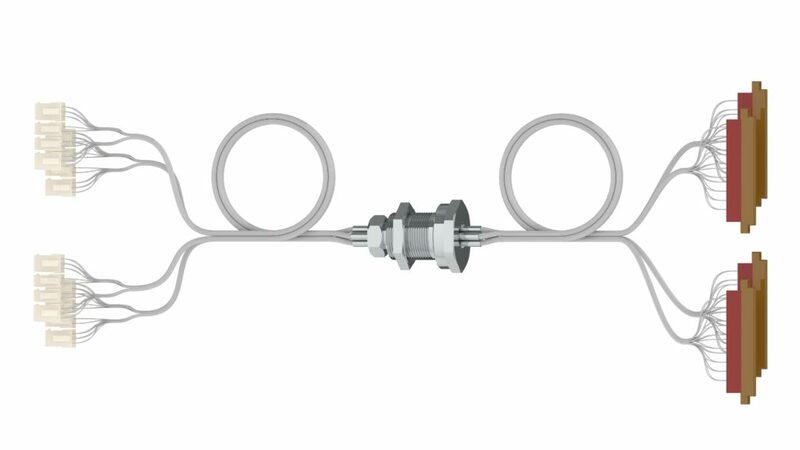 Multiple Conax High Density tubes may be grouped together in a common fitting to minimize penetrations though your chamber wall. Conax High Density tubes come in 12, 24, 40 and 60 wire densities. 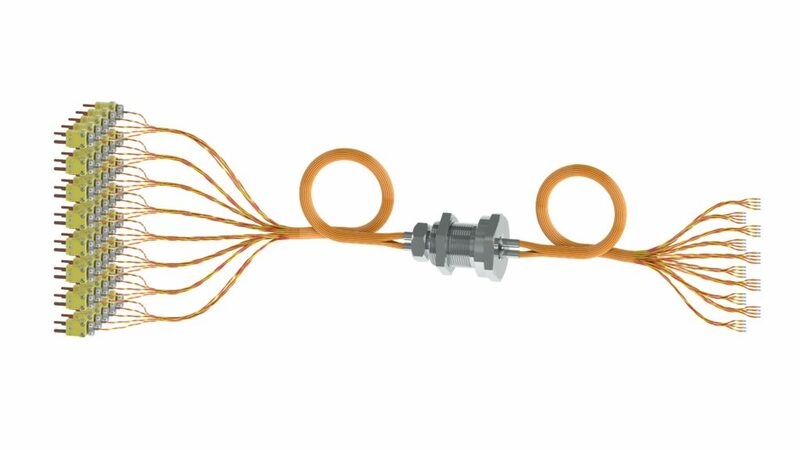 Options include having thermocouple sets come with junctions pre-made, thermocouple wires twisted into pairs, having thermocouple connectors pre-installed on the wires, etc. Connection to your chamber can be via standard NPT threaded connection or via flange or straight thread with O-ring seal as shown. The feedthrough is shown with optional connectors installed by Conax. The feedthrough normally comes with bare leads that the end user terminates as needed. This style feedthrough features nickel plated copper wire to minimize corrosion of the wires. 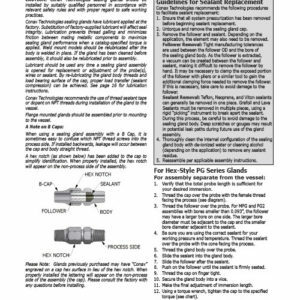 It also uses Kapton® insulation on the wires, allowing the Conax compression seal fitting to be torqued to a high value should higher-than-normal pressure sealing be required. The feedthrough is rebuildable. After aging, the wires and sealant may be replaced while allowing the metal components of the body to be reused. Each Conax compression feedthrough fitting is pressure certified to insure a leak proof seal. These units may be supplied with straight threads (bulk head fitting style as shown), NPT threads or flanged connection. Feedthrough shown with 40 thermocouple wire pairs, each twisted and terminated with a connector on one end and welded measurement junction on the other end. This style feedthrough features 24 AWG, PTFE insulated wires. The wires may be supplied in J, T, K, or E thermocouple calibrations to allow for temperature validation in the X, Y, Z coordinates of the chamber. Within a given Conax High Density Feedthrough tube, the wires may be mixed or matched between nickel plated copper signal wires and thermocouple wires. Multiple Conax High Density tubes may be grouped together in a common fitting to minimize penetrations though your chamber wall. 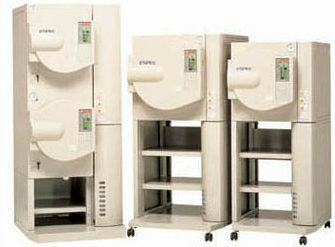 Conax High Density tubes come in 12, 24, 40 and 60 wire densities. 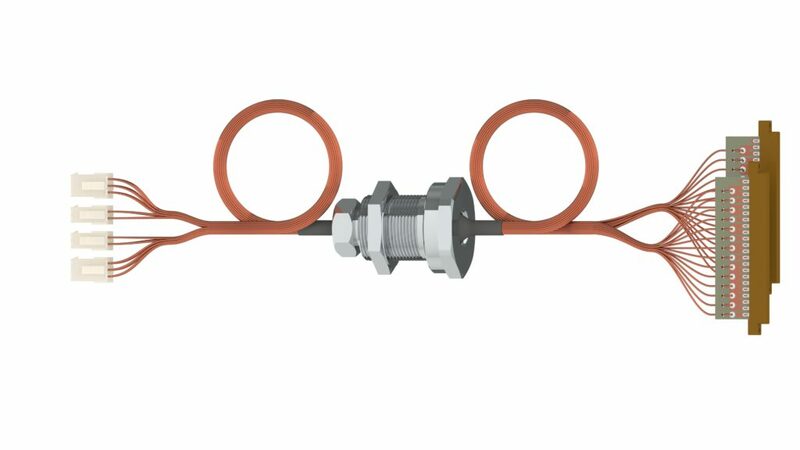 Options include having thermocouple sets come with junctions pre-made, thermocouple wires twisted into pairs, having thermocouple connectors pre-installed on the wires, etc. The PTFE insulation on the wires stand up to steam and flexing better than Kapton® insulated wires. The feedthrough is rebuildable. After aging, the wires and sealant may be replaced, allowing the metal components of the body to be reused. Conax compression seal feedthroughs are certified to insure a leak proof seal. They may be supplied with straight threads (bulk head fitting style as shown), NPT threads or flanged connection. Kapton® is registered trademarks of E.I DuPont de Nemours Company.